An LCLo value is the lowest concentration of a material in air reported to have caused the death of animals or humans. The exposure may be acute or chronic. This is also called the lowest concentration causing death, lowest detected lethal concentration, and lethal concentration low. LCLo is closely related to the LC50 value which is the concentration which kills half of the test animals under controlled conditions. This value applies to vapors, dusts, mists and gases. Solids and liquids use the closely related LDLo value for routes other than inhalation. Both LC50 and LCLo values state the animal used in the test. This is important because animal toxicity studies do not necessarily extrapolate (extend) to humans. For example, dioxins (of Love Canal, Times Beach, Sveso and Agent Orange fame) are highly toxic to guinea pigs and ducklings at extremely low levels, but have never been unambiguously linked to a single human death even at very high levels of acute (short term) exposure; note, however they are listed by IARC as "known human carcinogens". However, it is best to err on the safe side when evaluating animal toxicity studies and assume that most chemicals that are toxic to animals are toxic to humans. Typical units for LCLo values are parts per million (ppm) of material in air, micrograms (10-6 = 0.000001 g) per liter of air and milligrams (10-3 = 0.001 g) per cubic meter of air (see volume units and mass units). 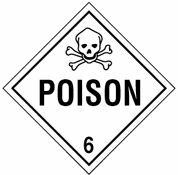 Never be exposed to an LCLo dose of a hazardous chemical -- by definition, there is a resonable chance of dying! The U.S. EPA has a PC-based and Acute-to-Chronic Estimation (ACE) model and Web-based Interspecies Correlation Estimation model for risk assessment.